Central bank policy intervention has dominated the investment landscape for the last eight years. Monetary policy intervention has certainly been helpful as it has steered the world economy from a global depression during the global financial crisis. With economic growth still stubbornly low in many regions, scepticism has grown about how effective monetary policy can be. The IMF forecasts world growth this year at 2.5%, which is the same as in 2015 and well short of the 3.7% average over the five years leading up to the global financial crisis. Quantitative easing, especially in the US, has been effective, but has come with consequences. For example through the encouragement of possible capital misallocation by favouring equities and property over cash and fixed interest, thus fuelling possible asset class bubbles. Anxiety among investors and in the market is greater than it has been for some time, despite the lack of substantive change in global fundamentals. Volatility has gone up, but remains well below panic levels. As with any market in which there are big price drops, opportunities are opening up, but having the conviction to act is another matter. Central banks remain key drivers of sentiment and asset prices so will probably need to provide further support via lower or even negative rates before buyers return to the market. 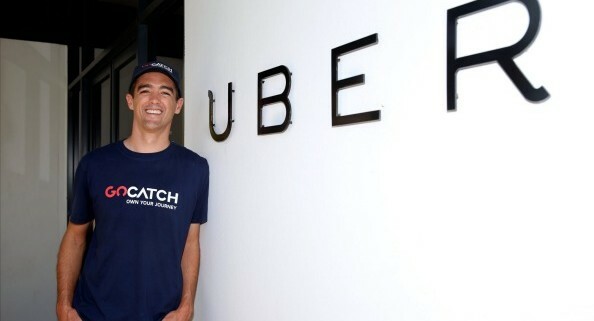 Big-name investors including billionaire James Packer, SEEK co-founder Paul Bassat, fund manager David Paradice and the Prime Minister’s son Alex Turnbull are backing taxi-booking app GoCatch to launch a new ride-sharing service in Australia.